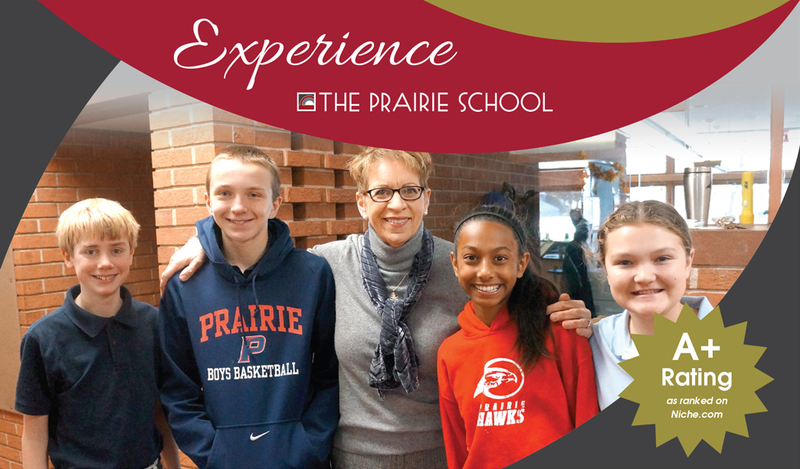 Families interested in learning about Grades 4-8 at The Prairie School are invited to a comprehensive Open House experience on Sunday, January 22nd. By focusing on the social and emotional needs of students, Prairie’s Middle School teachers are committed to ensuring every child is excelling not only academically, but that they are growing ever more compassionate and self-aware. From elite academics and extracurriculars to a compassionate learning environment where every student is known and valued, supported and challenged, come experience everything that makes Prairie’s Middle School exceptional! All students in grade 5 and 6 are invited to sit for our annual Placement Test. Pre-registration is required by Thursday, February 2nd. To register, submit a completed Application for Admission (fee is waived) and a copy of the student’s most recent report card. Placement Test results are utilized to determine course readiness and participation in Prairie’s scholarship exam. Contact the Admission Office to preregister for the MS Open House or Placement test, or to schedule a personal tour if your family is unable to join us on January 22nd.